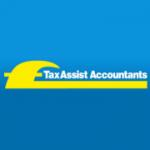 Mark Sivakumar is a TaxAssist Accountant who offers clients a personal service. Clients benefit from the core accountancy services plus other additional services which help clients build their business and gain good contacts locally. TaxAssist Accountants offer a personal Service by visiting clients at home or business in or out of normal working hours, both for initial meetings and collection of books etc. Customer Satisfaction where business standards are in place to ensure deadlines always met and clients always happy. Value for money with an agreed fixed price, no hidden charges or surprises and the option to pay monthly with no interest charges. In summary, providing a high quality, fast reliable service at a competitive price. One stop shop for small businesses offers accounts preparation, company and personal tax returns, self assessments, VAT, Business plans, Management accounts, payroll services. We work to reduce tax. We offer out of hours appointments, fixed fee, installment payments at no extra cost, Offers to visit businesses.